2016 was no doubt a savage year, and here at nerdy views, which is now three years old (yay!) it was definitely a year of transition. I started this site to write about movies, television, & entertainment in general, and this year I continued to move further away from that to focus more on building creative projects. And judging by the response I've gotten, it sounds like I'm doing a decent job. Anyway, I just wanted to take a look back at some of the things that made my 2016 memorable. 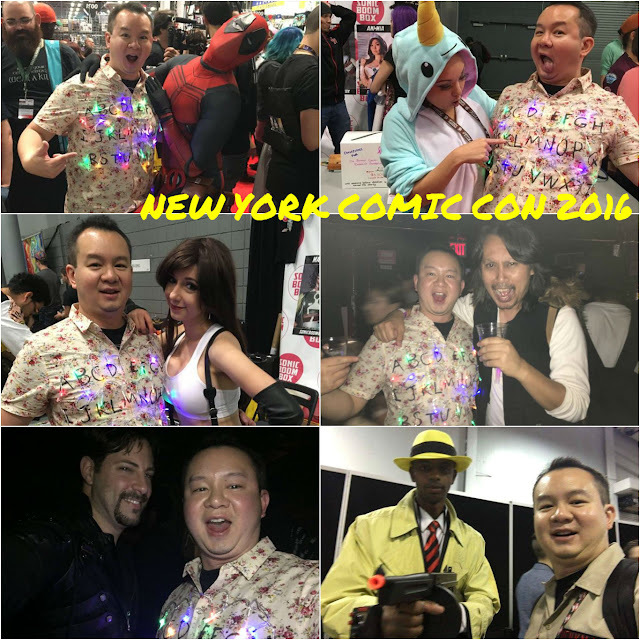 Ghostbusters, Star Wars, Doctor Who, & the Power Rangers really does kind of sum me up. And add a little Fresh Price of Bel Air in there to top it off! I met Peter Mayhew at WinterCon and he signed my Chewbacca Funko while he enjoyed his orange mocha frappuccino. Steve Cardenas was the second Red Ranger from the Mighty Morphin' Power Rangers. I remember scheduling my college classes around that show. I met Steven Moffat, the current Doctor Who & Sherlock showrunner just randomly at a Star Wars booth at San Diego Comic Con and I totally fanboyed it. I met Ernie Hudson from the Ghostbusters at Hudson Valley Comic Con, and he was super nice in allowing me to take this selfie with him after he signed my Winston Zeddemore figure. And finally, I wondered what Karyn Parsons from The Fresh Prince of Bel Air was doing at WinterCon, but it didn't matter why because she was super cool, and her show definitely helped shape my sense of humor when I was younger. I can't imagine meeting any of these people under normal circumstances, but at conventions, there's always a chance! 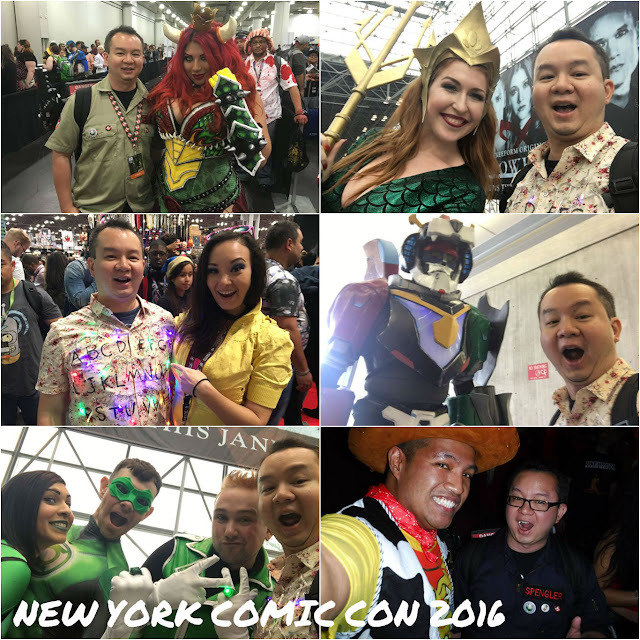 I told myself in 2016 that I would go to as many conventions as I could. So I went to nine different conventions this year, had a blast, and now I'm just exhausted. :) Anyway, here are some of the awesome cosplayers I got to meet and talk to at conventions this year. and one last time Ani-Mia! Since it came out in May, I've devoted about 300+ hours of my life to playing Overwatch. 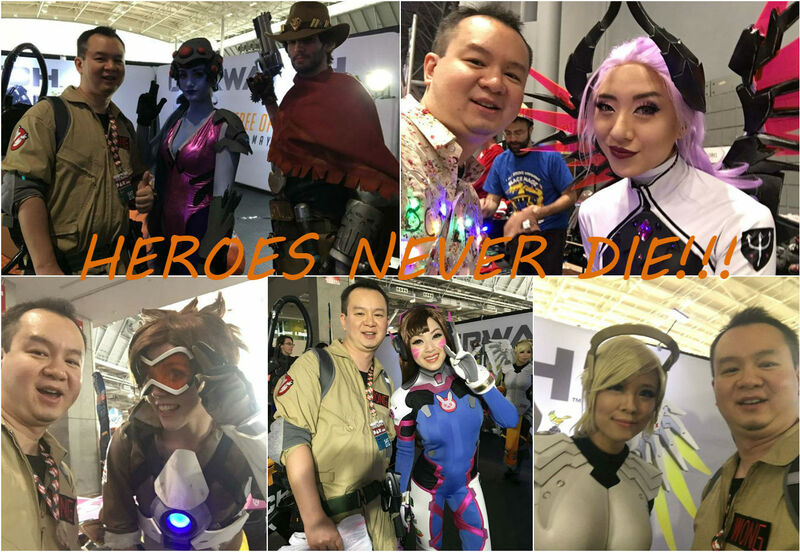 So to see some of these heroes brought to life by cosplay at a convention is just really fun! I actually made it into a cosplay music video! Thanks to the Geeky Panda for this and go check out his YouTube! Meeting different Ghostbusters organizations is a lot of fun. 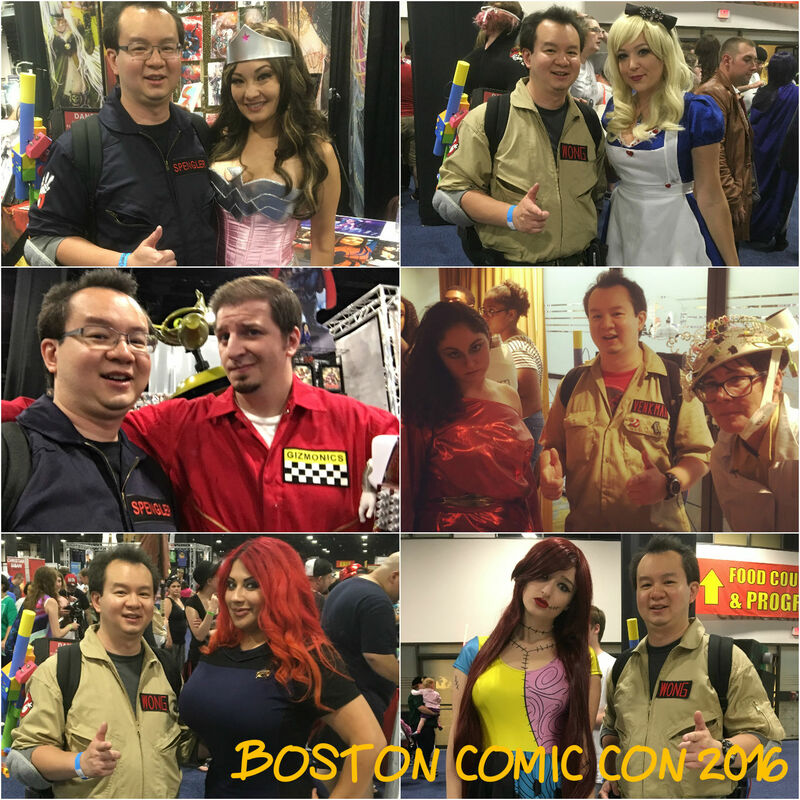 I've seen Luna Mars & Jonny Ruckus from the Ghostbusters of New Hampshire a couple of times this year, and they're always great to talk to. 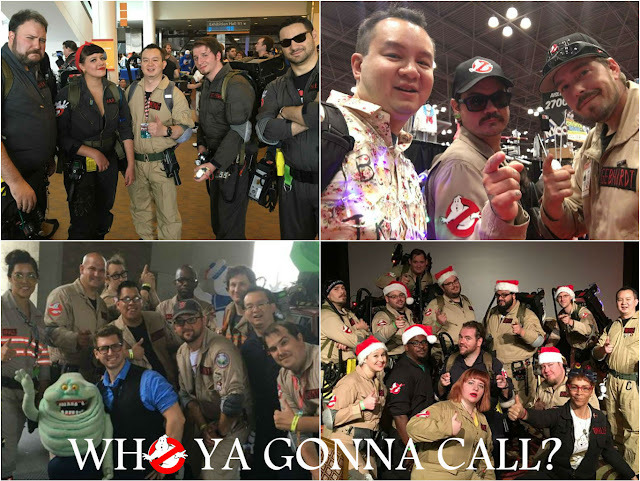 I always make it a point to see Tom and Ron from Ghost Corps: New Jersey (formerly the Ghostbusters of New Jersey) whenever I know they're going to be at a convention. They're also featured in Ghostheads, a great documentary about Ghostbusters fans. 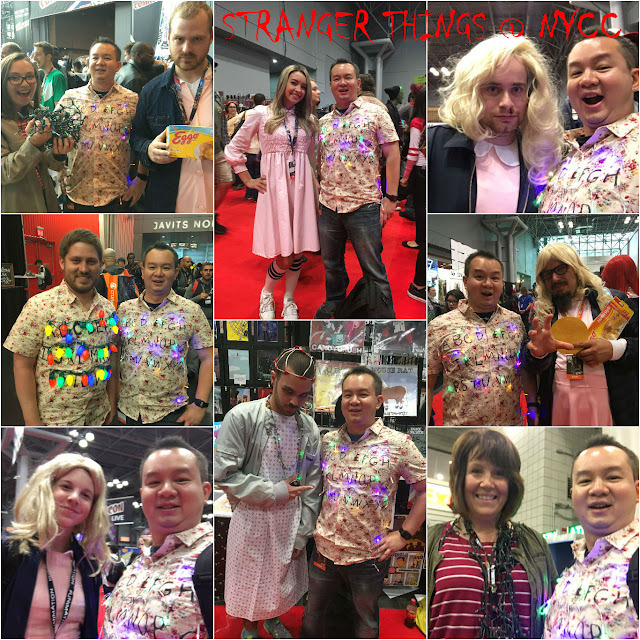 The New Ghostbusters of Long Island and Drew Mollo gave this wonderfully informative and funny panel at WinterCon about Ghost Smashers, what the original Ghostbusters was going to be. 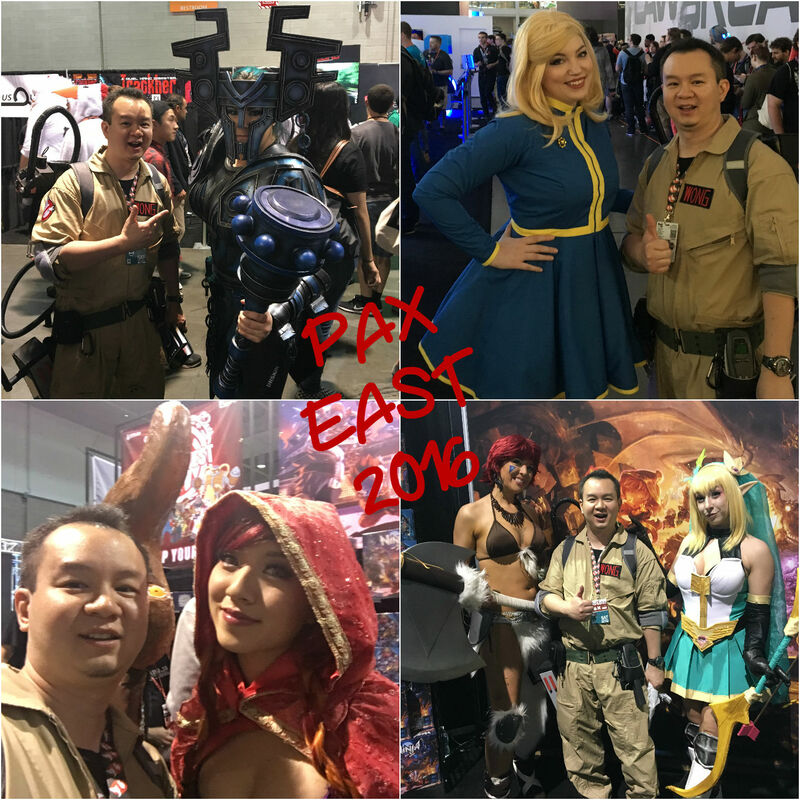 And the NYC Ghostbusters and Massachusetts Ghostbusters were nothing but the most hospitable people I have ever met. They let me participate in one of their "Slime Labs" where you actually chemically create slime, and basically made me feel like the most welcome Ghostbuster in the world. 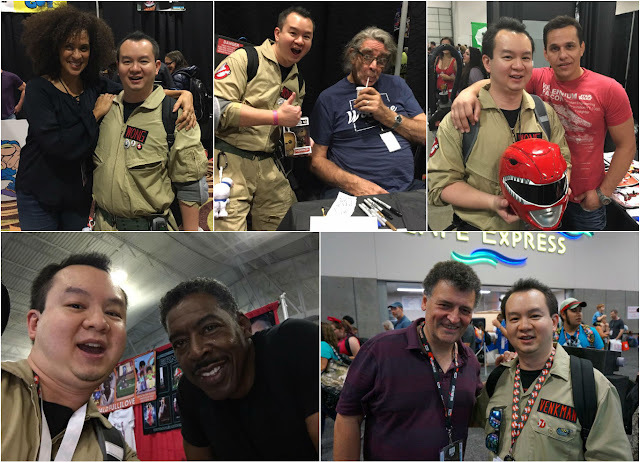 Thanks to all these awesome Ghostbusters for doing what they do! Stranger Things was a huge pop culture hit this year, so I decided to do a Stranger Things cosplay which I wore to New York Comic Con, and it was extremely well received! 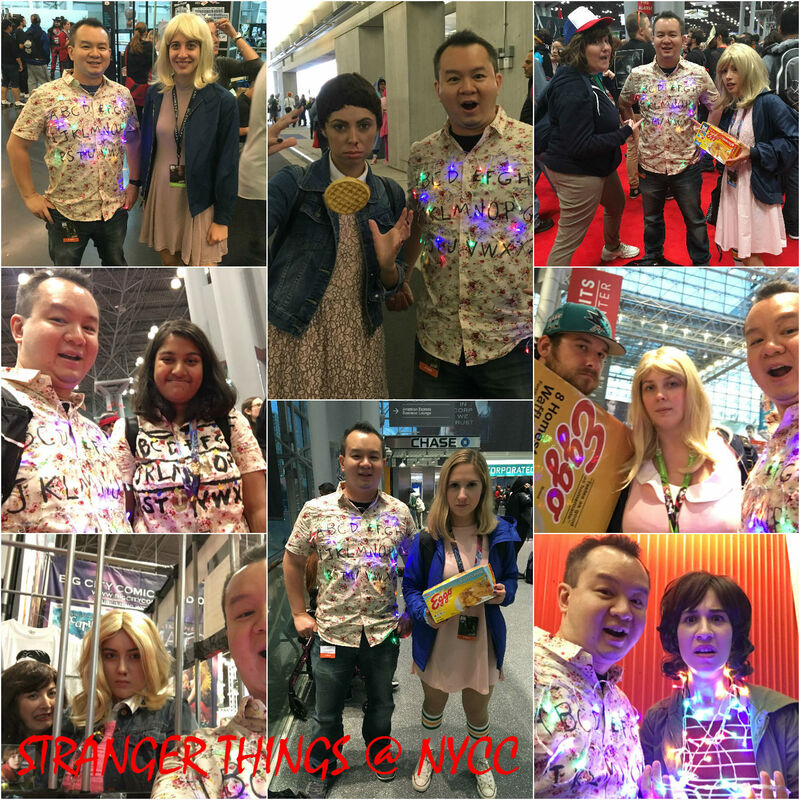 So I made it a point to take a picture with every Stranger Things cosplayer I could find. 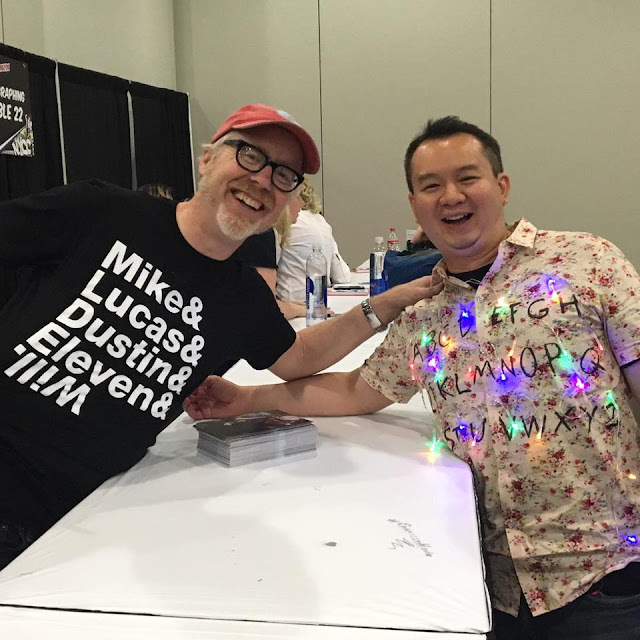 And just to top things off, I also got to meet Adam Savage from Mythbusters who is also a huge Stranger Things fan and he absolutely loved my cosplay! Seriously, this was so awesome! This year, I worked on a bunch of projects among them, repainting a Nerf gun, repainting and weathering a Captain America shield, making a Destiny Hunter knife and Batarang out of foam, weathering a toy Devastator, making Minions goggles, and my big project for the year, building a proton pack out of foam. When I can find the time between work and Overwatch, this is the kind of stuff I really enjoy doing, and I hope to be doing more of it next year. If there's anybody to blame for the shift in this website from entertainment to props, it's these guys! Ha! Just kidding. 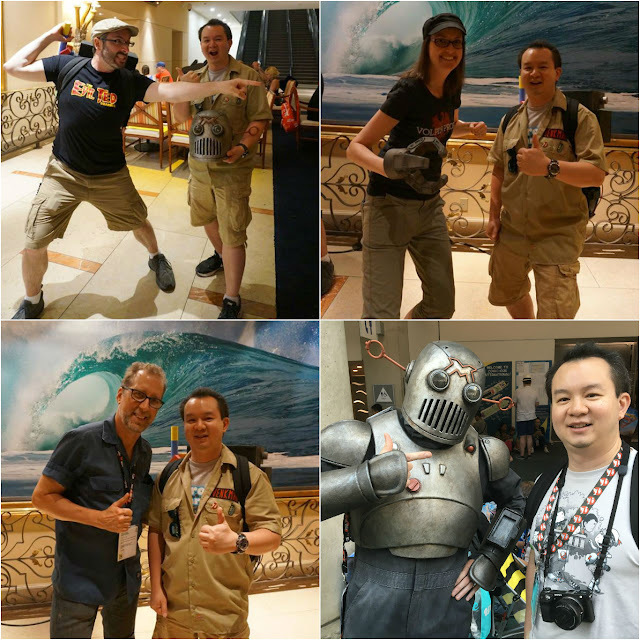 I got to meet Bill and Brittany Doran from Punished Props and Evil Ted Smith at a propmaker meetup at San Diego Comic Con and it was basically the highlight of my year. 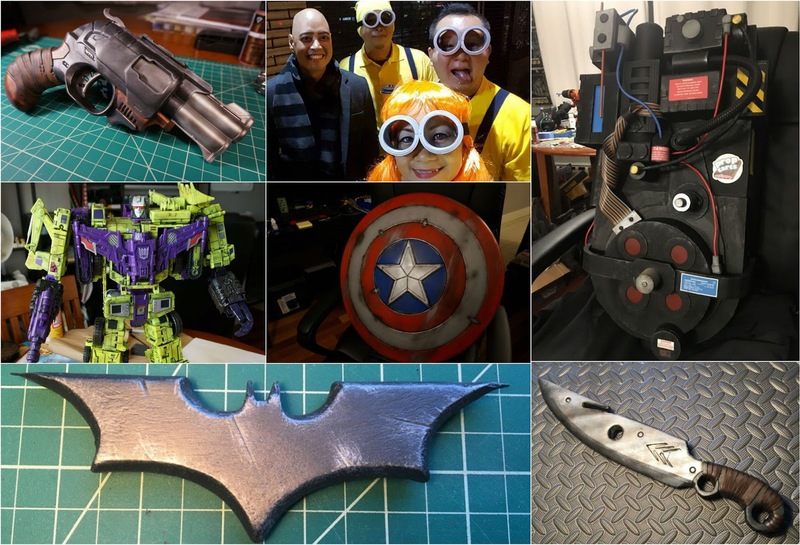 While meeting cosplayers & celebrities and hanging out with Ghostbusters is fun, the tutorials and advice that Bill, Britt, & Evil Ted provide helps me out tremendously day to day with the stuff I want to create. None of the projects you saw above would have been possible if not for their help. And I'm just hoping to get better at this little hobby so I can make cool stuff like they do! Thanks again Bill, Britt, & Evil Ted! It was a hectic year, and I only managed to complete about half of the projects I had planned for 2016. But still, I got a lot done and learned a lot in the process. For 2017, I hope to finish off that list and I've got a ton more things I want to build. I'm going to continue doing what I love doing, and leveling up those skills to get better at it. My goal is to have at least one project up per month and to have progress pictures of whatever I'm working on on the nerdy views Facebook, Instagram, and Twitter accounts. I might even dabble a bit in video but we'll see. And one last thing. THANK YOU for your support! If you've ever liked anything I've built or written, I truly hope you were entertained even if it was only a little bit. And somewhere down the line, maybe you'll find some inspiration here and be compelled to make something yourself. Thank you again and have a Happy New Year!